If you fell in love with my Block of the Month - Enchanted Arbor, the kit is now on sale, plus you can stack the discounts above. 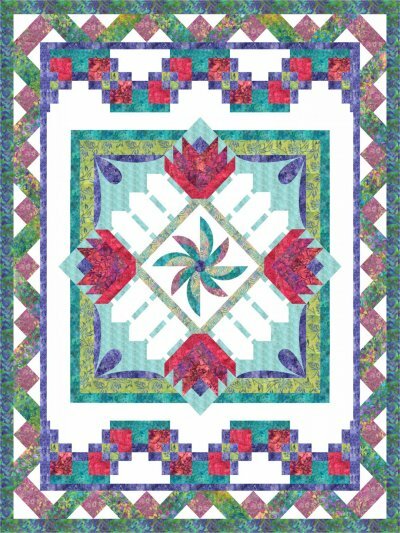 Kit includes all 6 patterns, plus fabrics for quilt top and binding. I would also love to invite you to join my online Facebook Group. 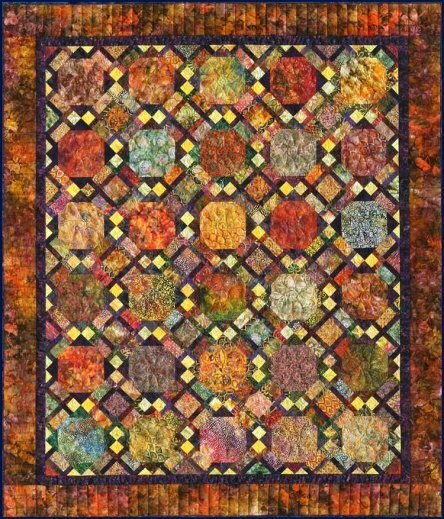 Click here or on the quilt below to join me on Facebook. It's a great opportunity to connect with questions you have and simply share the love of quilting. I will be showcasing projects and you are free to join me with anything you are creating from over 100 patterns that I've designed. We would love you to inspire us all and if you are hesitant to begin a project, it's a perfect opportunity to ask for guidance. Earth Rhythms is the first project I'm showcasing. I still love this classic and I've been saving a variety of fabrics for a few years specifically to offer some custom queen kits with 27 fat quarters to provide a beautiful array of colors. I also have smaller bundles to inspire you to raid your stash. Wishing each of you a fun-filled weekend. If this newsletter was forwarded to you, click on my home page and sign up for a direct notifications to your inbox. I will never share my list. I consider it a privilege that you wish to stay in touch. If you no longer wish to receive my emails, drop me a note with your email address and I will remove you from my contact list. I appreciate your consideration in not spamming my newsletters so others who do want to receive them will continue to do so.